Melrose in Dalkey, Dublin. Fr Doyle was born here 144 years ago today. 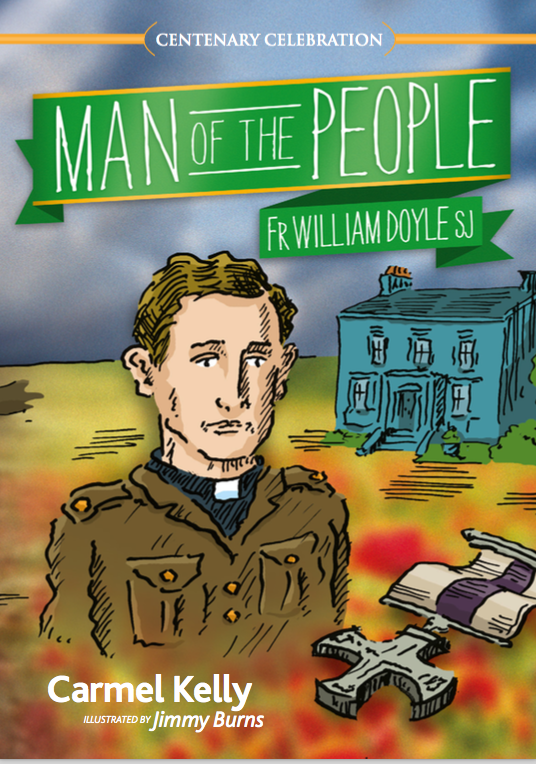 Today is Fr Doyle’s birthday – he was born on this day in 1873. 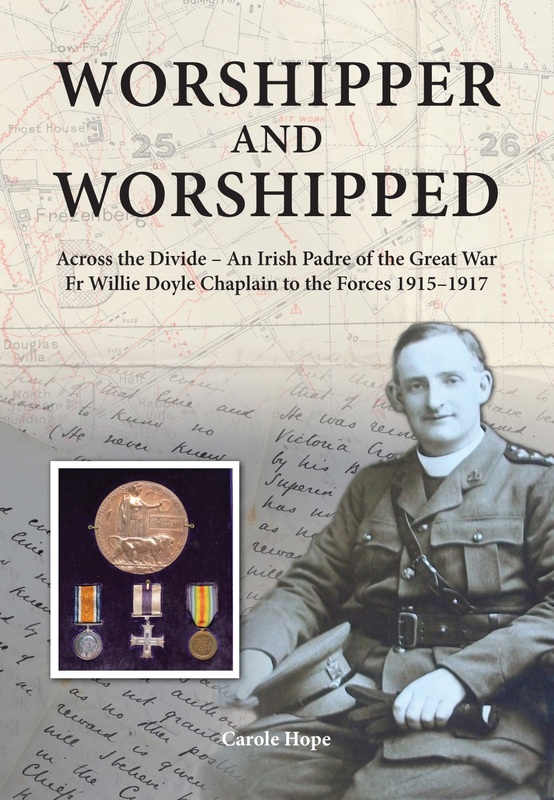 For today we shall reproduce the first few pages of O’Rahilly’s biography which tell us something about Fr Doyle’s early life. William Joseph Gabriel Doyle was born at Melrose, Dalkey, Co. Dublin, on 3rd March, 1873. 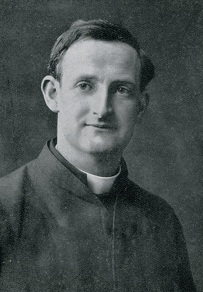 His father is Mr. Hugh Doyle, an official of the High Court of Justice in Ireland, who died on the 24th of March 1924 in his 92nd year; his mother was Christina Mary Doyle, nee Byrne. Willie was the youngest of seven children, four boys and three girls. The eldest and youngest of the girls married; the second became a Sister of Mercy. The eldest boy after a short stay in the Jesuit Novitiate entered Holy Cross College, Clonliffe, whence he passed to the College of the Propaganda, Rome. Ten days before his ordination he caught fever and died in 1887 in the twenty-eighth year of his age. The second son entered the legal profession and became the Recorder of Galway. 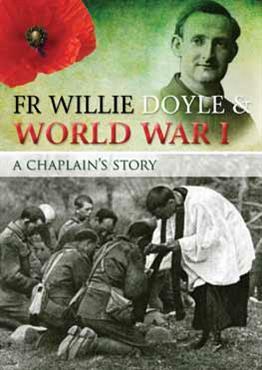 Willie’s third brother, a few years older than himself, and the inseparable companion of his boyhood, became a Jesuit. Willie was a frail and delicate child, though like most highly strung children, he had great reserves of energy. All through life, indeed, ill-health was one of his great trials, and for some years before his death he suffered acutely from an internal complaint. 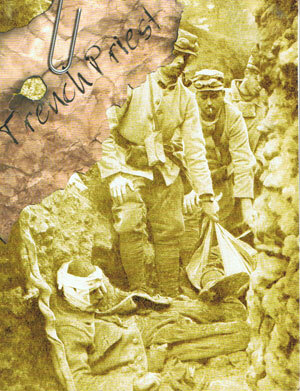 But, curiously enough, his nearest approach to death was due, not to sickness, but to an accident. When he was quite a little fellow, his nurse one night placed a lighted candle on his little cot, probably to enable herself to read or sew. The nurse fell asleep, and the candle overturned and set the bed clothes on fire. Fortunately his father, who was sleeping in the next room, was awakened by the smoke and rushed into the nursery. He found the cot on fire, and little Willie fast asleep with his legs curled up, as though he felt the fire creeping towards him. In an instant the child was lifted out of bed, and the mattress and bed clothes thrown out through the window. 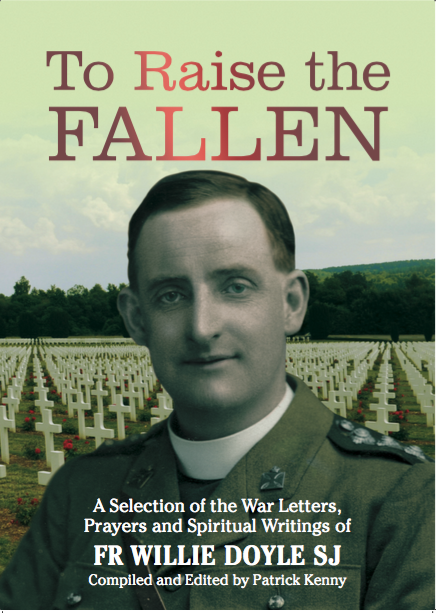 As a military chaplain Father Willie once laughingly alluded to this escape as his first experience under fire. How curiously and prophetically appropriate is this characteristic of him, who was to be enrolled in the Company of Jesus and to die on the battlefield as a soldier of Christ! This is one of the few glimpses we obtain of Willie’s interior life during his boyhood. Even of his maturer soul-struggles we should know little or nothing were it not for the chance preservation of his notes and diaries. There is a danger lest these revelations of penance and mortification should mislead a reader, who was not personally acquainted with Fr. Doyle, into fancying that he was exteriorly repellent or gloomily ascetic. Throughout his life he retained a fund of humour and kindliness; no one would suspect his slow struggle for self-mastery and perfection. That even in boyhood he sought self-conquest and recollection, and experienced the working of God’s grace, we can have no doubt. There is no record, however, save in the archives of Him who seeth in secret, where even the sparrow’s fall is registered and the hairs of our heads are numbered. But neither in youth nor in after life was his virtue fugitive and cloistered; his light so shone before men that they saw his good works, his thoughtful kindness and self-sacrificing charity. No man, it is said, is a hero to his valet; at any rate, domestic servants are apt to be severe critics. Willie, however, was deservedly a favourite. He always tried to shield the maids when anything went astray or was neglected. He was ever on the look out for an opportunity of some act of thoughtfulness. Thus sometimes after a big dinner at Melrose, the cook would come down next morning and find the fire lighting and the dinner things washed. Willie had been playing the fairy! Again, whenever a maid was looking ill, he used to volunteer privately to do her work. A servant of the family, who gave many years of faithful service, still remembers her first arrival at Dalkey. As she was timorously proceeding to Melrose, she met the two brothers walking on stilts along the road. “How are you, Anne?” said Willie, divining that this was the new maid. He alighted and insisted on taking whatever she was carrying. Before she had her things off, he had tea ready for her. 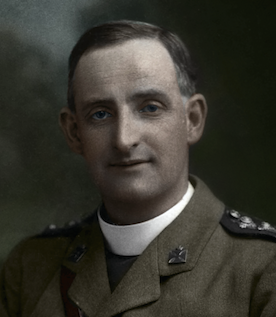 When we hear of these acts of charity and zeal exercised at an age which is often associated with selfish thoughtlessness, we may be inclined to imagine that Willie Doyle was a prim, stilted, ‘goody-goody’ sort of boy. Nothing of the kind. He had a wonderful freshness and spontaneity. One never could feel that his kindness was artificially produced or that his goodness was forced. His virtue, like his laugh, had the genuine ring in it. One of his most endearing characteristics throughout life was his sense of humour. “Don’t take yourself too seriously,” he once said to a rather lugubrious would-be-saint; “a sense of humour is one of the greatest aids to sanctity.” As a boy he was full of humour, even when he was doing good. He once brought to one of his poor people a carefully wrapped parcel which was joyfully acclaimed as a pound of butter; but when extricated it proved to be a stone! Next day, however, the real article, with much more besides, was brought to console the good woman.